These records are the case files of over 8,000 men who were appealing against their conscription into the army during the First World War. Men applied to local military tribunals for exemption, and could appeal against a local tribunal’s decision to the county appeal tribunal. These records in MH 47 cover the Middlesex Appeal Tribunal only. There were seven different grounds on which men could apply for exemption including health reasons and financial obligations (see below). 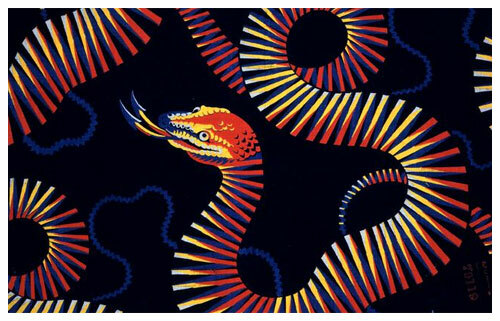 You can search the records in Discovery, our catalogue by filling in the form below. You do not need to complete all the search fields. Please note, the place names and occupations follow descriptions given in the records, and so may be different from modern descriptions. You can download documents for free until 2024. The project to make these records available online was funded by the Friends of the National Archives and the Federation of Family History Societies. 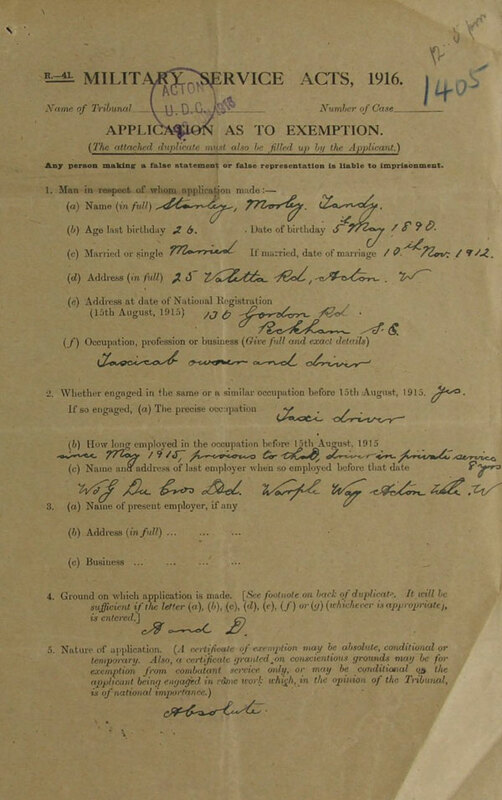 These papers contain a wealth of personal information relating to the applicants, their jobs and their families. 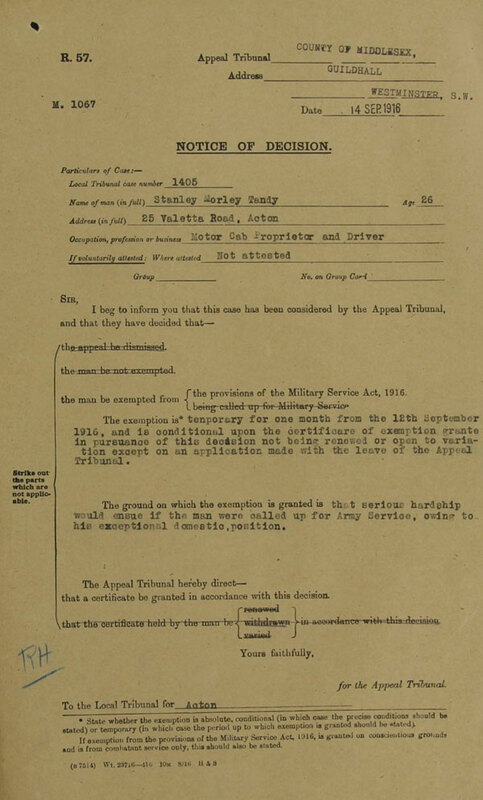 As many appellants were refused exemption you can potentially find information on men who later fought in the war. The records also provide an insight into the health, work and home lives of a cross section of men resident in Middlesex, making them a valuable resource for social, local, military and family historians. Most records contain multiple handwritten or typed pages. 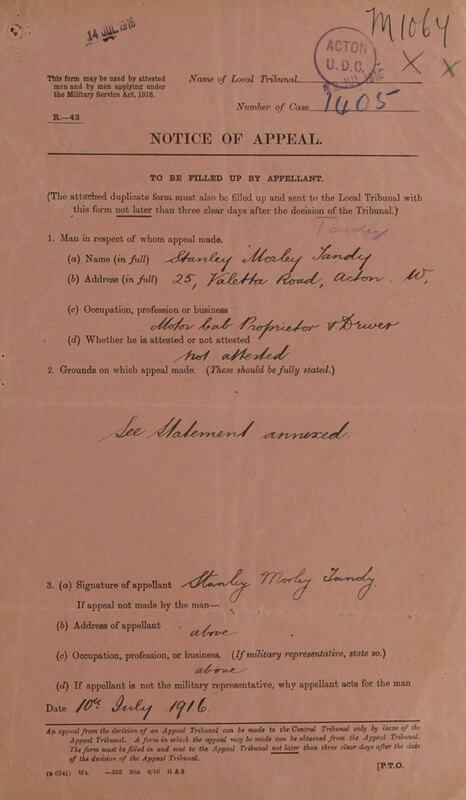 Click on the images on the right to see pages from the record of Stanley Morley Tandy (catalogue reference: MH 47/15/5). If you cannot find a Middlesex tribunal case paper, browse the rest of the MH 47 series as it contains letter books and administrative lists which may include references to cases not in the case papers. Please note, these records are for the Middlesex Appeal Tribunal and the Central Appeal Tribunal only. Most tribunal records were destroyed after the war by government order. Some incomplete sets of records relating to local tribunals are held at local record offices. Search for ‘military service tribunals’ on our catalogue to find out what records are held elsewhere. Refine your results using the filters. Alternatively, open and read our list of records of First World War Military Service Tribunals for England and Wales held at national and local record offices. A set for Lothian and Peebles in Scotland was retained, contact the National Records of Scotland for further information.